The third event in the Dust Challenge Series was a ripper! Although there weren’t as many entries as was seen in previous events, there were loads of spectators. And all comers were left in the dust (or mud) of Elrico Koen and his V8 Disco. After coming agonisingly close to qualifying with the first two events, this time Elrico left nothing to chance and made sure of his place in the final. A qualifier from the Midnight-event, Nico van Zyl, came in second place, opening the door for fourth placed Denille de Kock to book his place in the final. 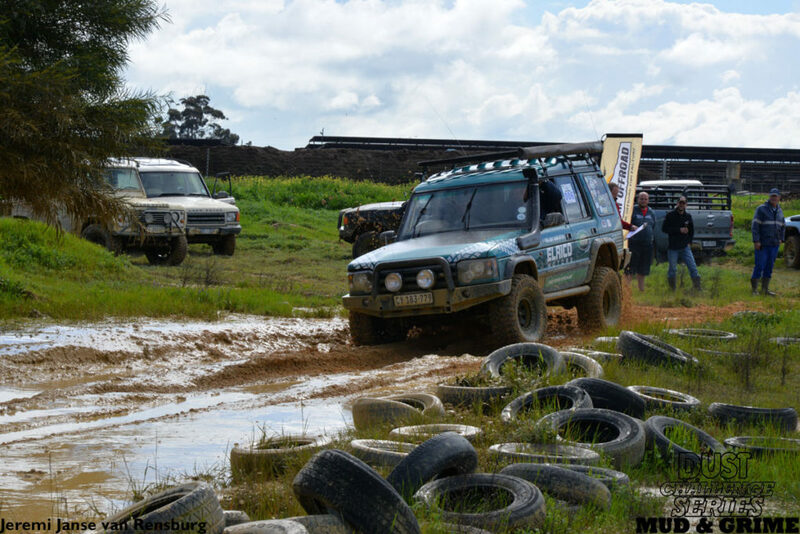 The third qualifying spot went to Jaco Terblanche with his Range Rover who made everything look easy. As the log stands now, the three qualifiers for the wildcard spots in the final are Heini Tait, Hannie van Rooyen and Corné Twakkie du Toit. But all three can still be overtaken if they miss out on the final event, and Herman Neethling, Retief Nel, Johan Venter or Gerrit Oosthuizen puts up good scores there. Special mention should be made on the day of Gerrit Oosthuizen. His stock standard Ford Ranger may not be the ideal vehicle for an event like this, but he tried anyway, and having the courage to say that an obstacle is a bit too much for you, takes guts. We salute you! *Denille de Kock qualifies for the final because Nico van Zyl already qualified at a previous event. Wil graag weet hoe die scoring werk om te kwalifiseer vir…..wat?